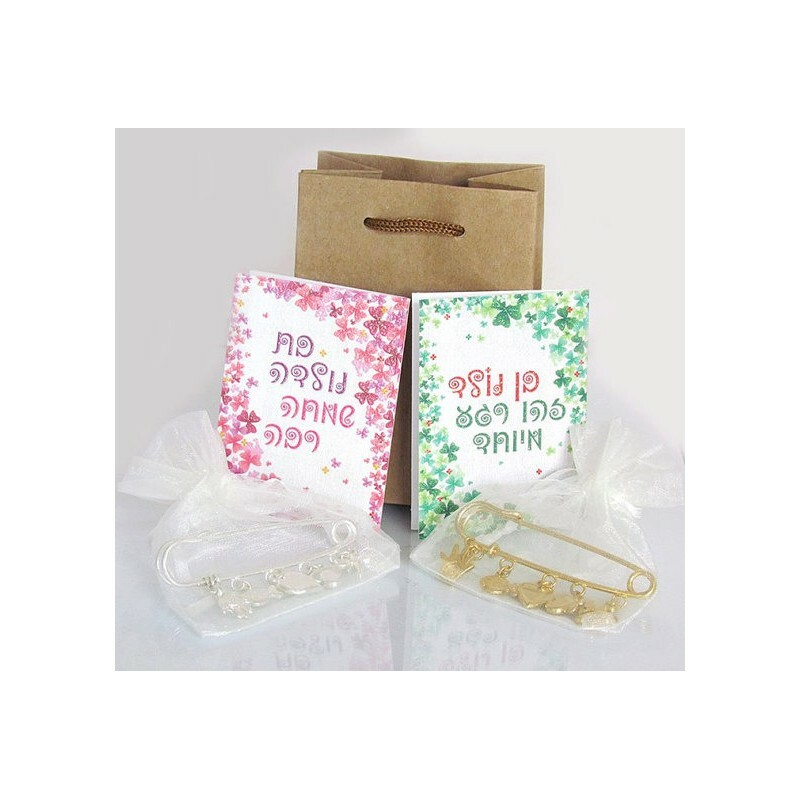 Baby Pin brooch in silver with greeting card! 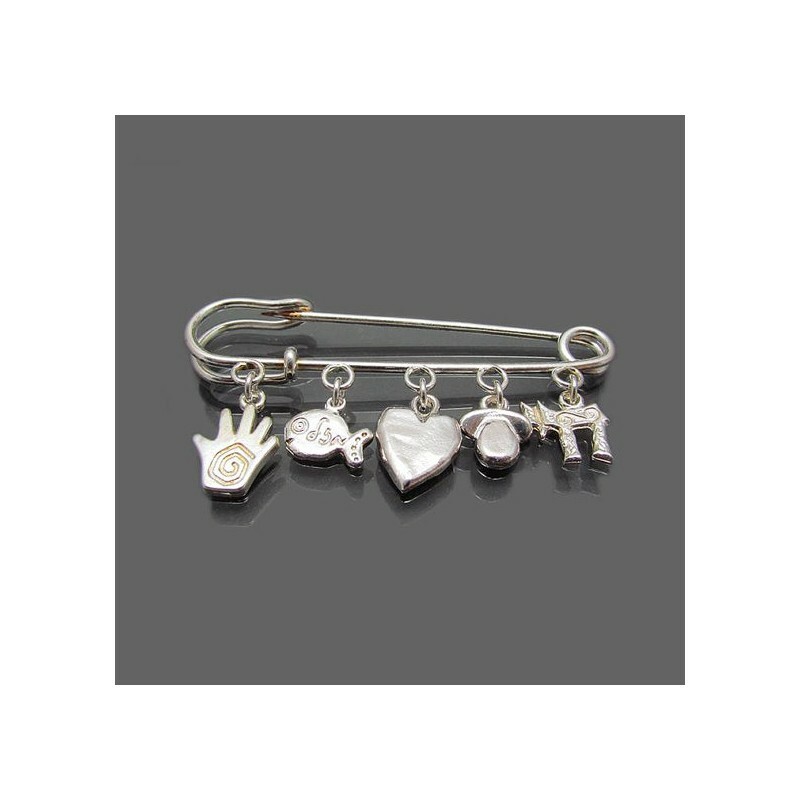 Silver safety brooch pin with five lucky pendants for the new born! 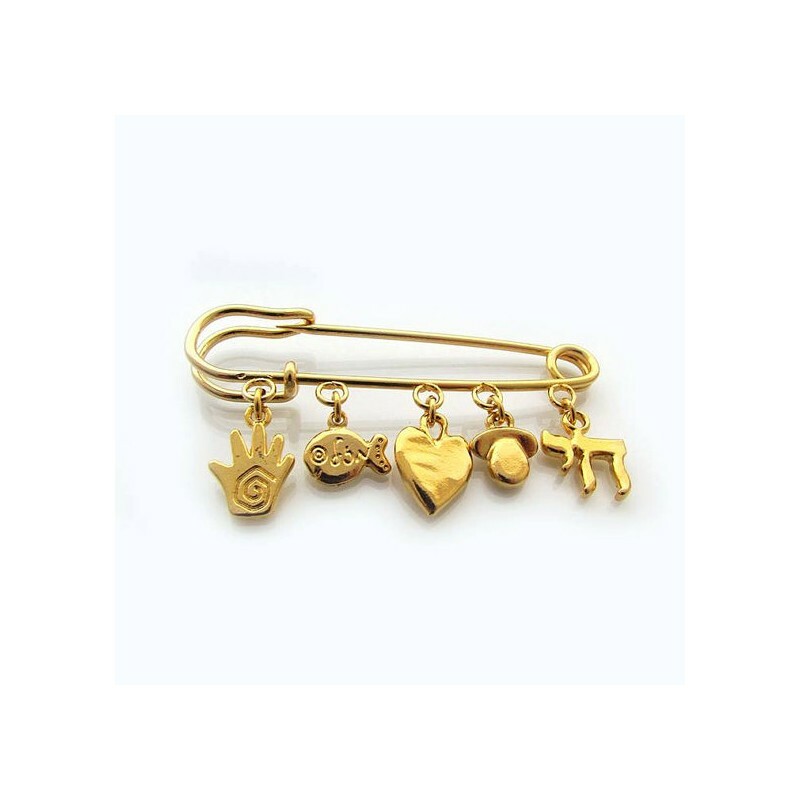 The baby brooch has 5 lucky charms symbols: a small hamsa, a Lucky Fish, a heart, a Pacifier and a Hai symbol. 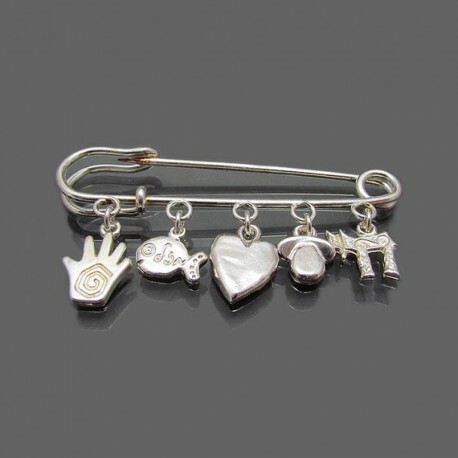 Hamsa pin length: 2.8" / 7 cm. Baby brooch pin silver with five lucky pendants for the new born! Best gift for new born babies, even bris, you can use it in the baby bed or even in the baby stroller.